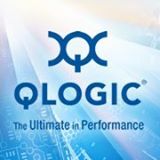 QLogic is a global leader and technology innovator in high performance networking, delivering adapters, switches and ASICs t...hat power today's data, storage and server networks for leading Global 2000 corporations. The company delivers a broad and diverse portfolio of networking products that include Converged Network Adapters for FCoE, Ethernet adapters, Fibre Channel adapters and switches and iSCSI adapters. Leading OEMs and channel partners worldwide rely on QLogic products for their networking solutions. For more information visit www.qlogic.com. Steve Garceau & Nic DeMaria Strategic Alignment & Positioning. Steve Garceau & Nikolaos Lainus Introducing the 3400 Intelligent Ethernet Adapter & 8400 Converged Network Adapter.